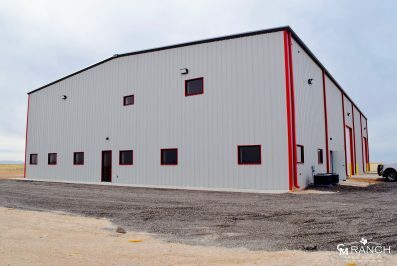 Brand New 10± acre Commercial/Industrial Yard in Reeves County with all the conveniences and accessibility that Pecos, TX and the Delaware Basin have to offer. The 10,000± sq. ft. new shop has 2,000± sq. ft. of office space with an upstairs 3 bedroom, 2 bath apartment. This property is 4 miles west of Pecos on I-20 and 1.5 miles south on FM 869 and will be ready to move-in by October 20th, 2018. Super location with TCEQ water available. Perfect for any company. For purchase or Lease on a 5-year Triple Net Lease @ $23,000 per month. Contact Broker, Caleb Matott for a showing and/or any questions 432-349-3330.